On every other vBulletin forum I use there is a little button for inserting YouTube videos in a thread. Are those not activated here? Never mind I just realized I had the advanced editor toggled off. Oops. Instead of creating a new thread every time someone finds a cool link, maybe we can just use one. I'll start. Found this cool video of a new octopus moved into the big tank. There was concern that it would not know what to do with the add amount and size of predators. This is a message to all the YouTubers out there. Can you put together some clips for us all to see? Lets use this thread to make requests and if you people that are so talented could make the videos and place it on a site like YouTube for us all to enjoy that would be great. I would like to see Flipper's TD against the Giants in '89, when Flipper caught the ball and just keep running through the tunnel. Some highlights from Flippers record breaking 336 yard game. Can anyone help us out here?? I've been moving a couple of threads to different forums because of the thread topic, and I just wanted to make sure everyone was clear why. 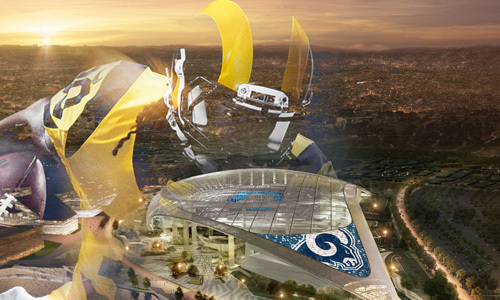 The RAMS TALK forum is for threads specifically about the Rams team, Rams players (current or retired), or Rams news. Threads about players or news about players who are currently on another NFL team belong in the NFL Talk forum. Threads about a player who has just been released and is currently a free agent belongs in the DRAFT/FA forum. It's relatively easy, just consider who the player plays for when starting your thread. Even if you're asking, "Hey, should the Rams look at this guy?" If it's a player on another NFL roster, it should go in the NFL TALK forum. If news comes out that the Rams are looking at that player, then the topic is officially Rams-related and is appropriate for RAMS TALK. I hope this alieviates any confusion as to why a thread was moved, if there was any. As always, GO RAMS!!! I had to update the tapatalk app on my iphone yesterday afternoon and now the appilcation can no longer find clanram forum what so ever. I try to use my internet browser on my phone but that just reroutes me back to tapatalk.